The statistic shows the responses to a survey concerned with the question what people are planning to purchase for Super Bowl Sunday from 2013 to 2019. 79 percent of the respondents said that they plan to purchase food & beverages for Super Bowl Sunday in 2019. 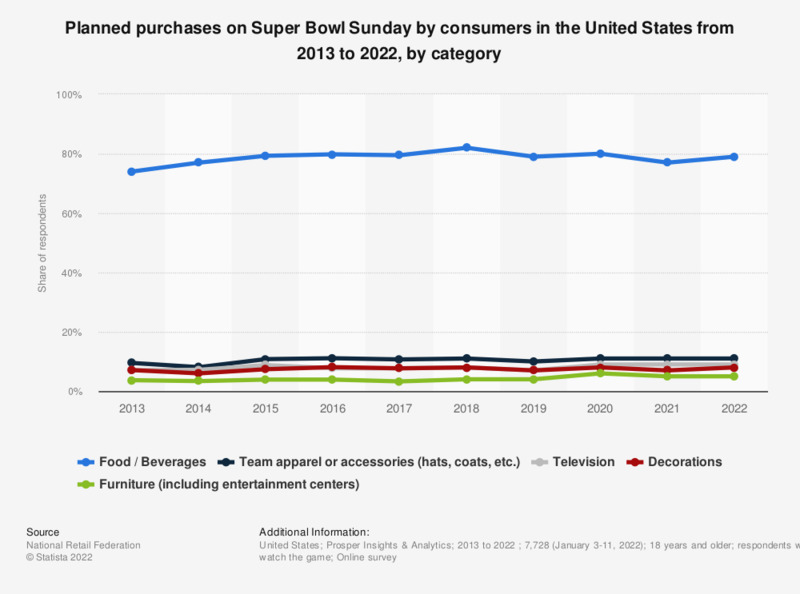 The estimated total Super Bowl related consumer spending was at 14.8 billion U.S. dollars in 2018.